If your formative years happened to overlap with the heyday of Sega, you likely have fond memories of games like Sonic the Hedgehog, Altered Beast, and Shinobi. You will soon be able to relive those days on Android. Sega has announced the Sega Forever collection with an assortment of classic games that are completely free, as long as you don't mind some ads. The first round of Sega Forever games will be released tomorrow (June 22) and will include Sonic The Hedgehog, Phantasy Star II, Altered Beast, Comix Zone, and Kid Chameleon. Sega says new games will be released every month, and none of them will cost anything to play. All the first round of games appear to have a single $1.99 in-app purchase, which I assume is for ad removal. All Sega Forever games will support controllers, offline play, cloud saving, and leaderboards. The quality of Sega ports is usually good, so I've got high hopes. Maybe I'll finally be able to beat Altered Beast. The first round of games are all live in the Play Store, but you can't download them yet. Well, except for Sonic the Hedgehog, which was released ages ago. That's kind of cheating, Sega. SAN FRANCISCO & LONDON--(BUSINESS WIRE)--In celebration of a simpler time - an era that came before cool kale, hyper-connectedness, DIY artisanal beer-making, and social media mayhem - SEGA Networks Inc. is bringing a growing collection of classic video games from every console era to your mobile device for free. The collection, called SEGA Forever, is a re-awakening of archetypal gaming, an ode to the deep and diverse SEGA catalogue, and the beginning of a retro revolution that will transport players back through two decades of console gaming. Each game in the SEGA Forever lineup is free-to-play, ad-supported, playable offline, and includes added features like cloud saves, controller support, and leaderboards. For players who prefer a pristinely ad-free mobile gaming experience - folks who want to play SEGA just like they remember playing in their basement, without interruptions from parents, siblings, or homework - we’ve rolled back the price so each game can be purchased without ads for $1.99. 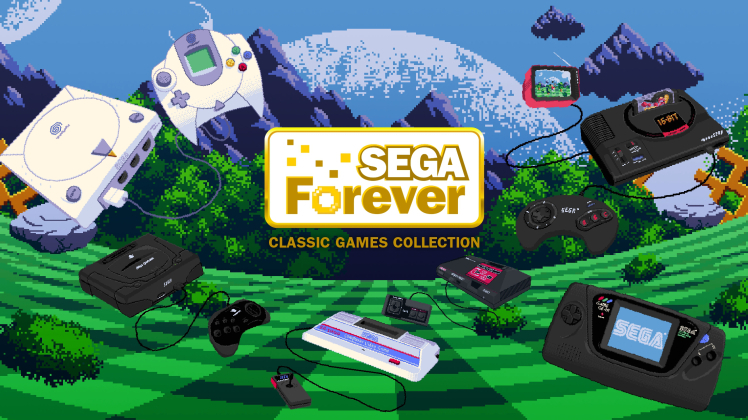 As the SEGA Forever collection expands through months and years, it will include both official emulations and ported games that pan all SEGA console eras, each adapted specifically for mobile devices while remaining faithful to the original games.